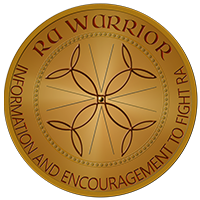 One of the most popular articles on RA Warrior discusses 10 Essential Facts About Rheumatoid Arthritis No Doctor Ever Told Me. 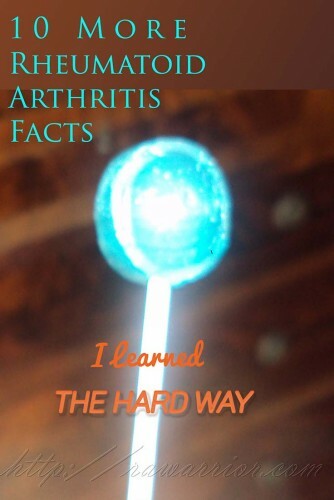 Those first 10 rheumatoid arthritis facts are still very important. However, this disease keeps teaching us over time, doesn’t it? No one who is not living with rheumatoid disease can fully understand the experience of a person living with rheumatoid disease (PRD). Over time, accepting this fact can be comforting. There are differing patterns in rheumatoid disease, and your own pattern can vary over time. Rheumatoid arthritis is a complex disease with causes and processes that are still much of a mystery. Recognized genetic and environmental factors still do not explain or predict how it will go for a particular person. Trust your instincts about your health. Dealing with it 24/7, people living with this disease often know more about it than health care professionals. We shouldn’t readily accept disabling changes in our joints. Using splints, braces, physical therapy, medication, injections, or surgery may preserve or improve joint function. Comparing symptoms with others who have milder or more severe disease is usually unhelpful and can harm your hope or self-image. Do not just accept immobilizing pain. If something doesn’t help decrease pain, try something else. Rheumatoid disease is relentless and evil. RD can affect almost any part of body, and fighting back is exhausting. But that’s why we are warriors. Sometimes we confuse disease symptoms with medication side effects. PRD can be surprised to realize which one is actually to blame for their particular problem. Disease progression (getting worse) and severe pain can be depressing, even for PRD with a positive attitude or good support network. We can recognize that ahead of time, in case help is needed someday. 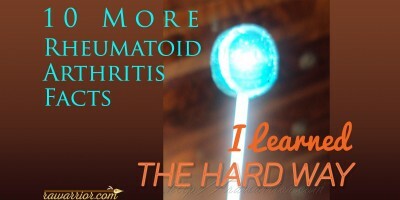 What rheumatoid arthritis facts did you figure out on your own? Maybe you can help out another PRD in the comment box below. 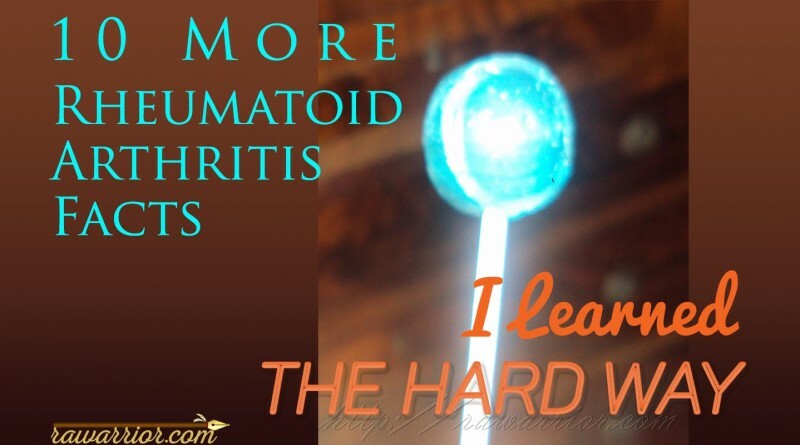 Read the original 10 Essential Facts About Rheumatoid Arthritis No Doctor Ever Told Me. I’ve been dealing with RA for 8 years …. Misdiagnosed at first then a couple years later diagnosed with sever RA … Tried medications but they all made me nauseous ect… Started reading and found out about Gluten … Stopped all Gluten and in 3 months this RA went from Sever to Mild !!!!! I also stopped eating GMO’s & went to Accupuncture and that helped as well ! My next mission is to try BVT ( Bee Venom Therapy )….. Do not drink alcohol ! Rick on Warriors ! These are such great facts. I think the only thing I can think of is that your symptoms today may not be your symptoms tomorrow. It can change every single day. Try “Earthing”. [ earthing institute.net]Have been in remission for a year since discovering this miracle application,after a 2 year sever case of RA.Several friends have had similar results. It is inexpensive,taked half-hour a day, and is effective for most chronic medical aliments. My wife does it for her Fibromayalgia and daily with great results. Good Luck and happy holidays.Let me know how you do. I learned that just because they have a PH.D. Not all doctors are equipped to deal with RA patients who symptoms vary. For the last year I have been off medication because my current RA doctor thinks that because he does an ultrasound on my hands and sees no inflammation that I don’t need the medications. He sees me once every 3 months only 1 out of the last 4 visits did I show inflammation. It has been a nightmare!!!! I see a new doctor on Jan 18th. Hi Erica. Good luck with the new doctor. Are your hands the only place where you are affected? If he does examine your joints or use ultrasound, I hope he/she will examine more than your hands – or anywhere you have symptoms. Also, if they say they can’t see inflammation on that day, you could ask them if you can call & come in on a day when it’s worse. Completely off subject. This past week in Southeast Tx. the weather was crazy. 80 degrees and really humid. I had no energy at all. Last night a cold front passed through. I could literally feel the cold front passing through. Felt pressure in my head. This morning it is cold and clear. I feel much better and i’m able to round up enough energy to do some things around the house. Anyone else ever have this feeling? 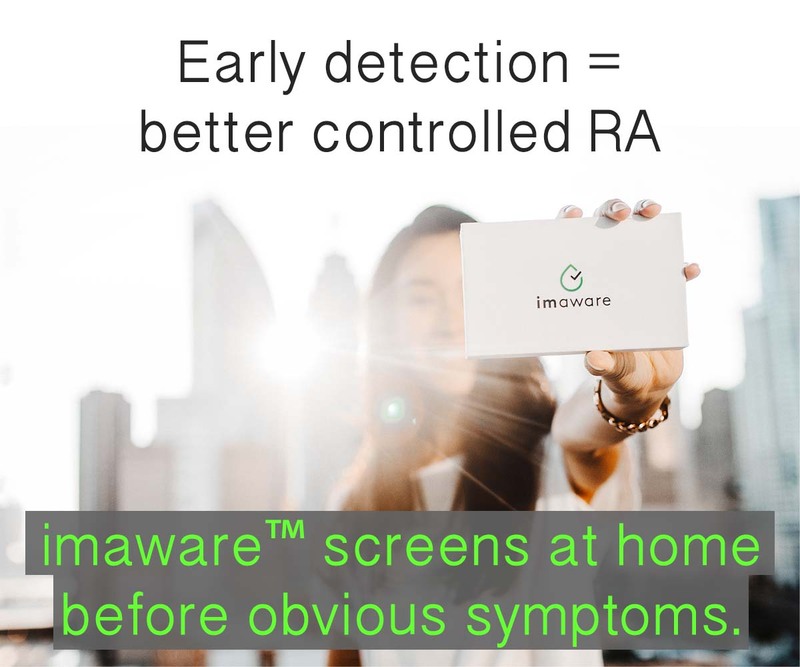 Nine out of ten people won’t know what RA is, most think it’s the same as degenerative arthritis, most think it’s curable with diet, herbal treatments, etc. and most know someone who has that in their knee/hip, bla bla….this is why we need it renamed! What I can’t stand is when my dr. calls me “atypical presentation” I’ve had very little problems with fingers/hands until later in the progression, and not much in general. It all started with shoulder/knee swelling, hip, chest etc. The exception was for dactylitis(sp?) in two fingers that only lasted 3 days. That occurred a full year before any other joint issues/diagnosis. Weird, I’ve never had it since in the fingers… There certainly is distinct patterns with progression that don’t match up with what you read about being typical..
No doctor has ever told me how deadly RA can be. No point to it I suppose. No reason to frighten people. Now I am coping with intersitial lung disease brought on by RA inflammation in my lungs. I have bands of scar tissue creeping up my lungs that look like long skinny hands reaching up to suffocate me. Cat scans are the only way to see the scaring. For years I told doctor after doctor that I had a cough. It went in one ear after another until one day during an office visit I told my rheumy that I had been coughing up blood. That got his attention and I was put through all that pulmonologists can put you through. Nothing was done but when I moved back home to Denver I immediately made appointments to see the excellent doctors at National Jewish Hospital. I am now on oxygen because I can’t handle the altitude I was born and raised in. There is not much that can be done for me now except try to reduce the severity of my RA. Hah! Take my word for it. If you have a constant cough, talk to your doctor about a cat scan. Catching lung disease in it’s early stage is much better than later. thank you for sharing Jo Ann. That’s very important. I have been suffering since 1979 when i was 20 years old. The first dic told me it was all in my head. By the time I was diagnosed I couldn’t dress myself, brush my teeth or hair, and had to quit school. Thanks to wonderful rheumies, great new drugs when I needed them, and great surgeons, I am walking and doing everything I want to do. My message..never give up, NEVER stop moving, andmost people just don’t get it so do your thing and don’t use your limuted energy trying to make others understand. You are better than RA and it does not define you. Fight! thank you Kathy. Awesome Warrior spirit. The biggest lesson I have learned is that we are stronger than we think we are! When first diagnosed, my RD “blew up” and I went from being a normal person to crying from the pain. After a lot of different drugs, trail and error, (still going) modifying my diet and sleep habits I’ve been able to keep my fulltime job and help my son through college. It’s a never ending job but it can get better! 2. I have been blessed to now know my body more than I would have without the diagnosis. 7. Crutches and wheelchairs should be more fun and colourful in adult models! 8. RA is awful, painful, unfair, nasty and debilitating but even when I call it names it doesn’t listen or make me feel any better ? I am EXTREMELY sensitive to barometric pressure changes, up or down. I feel it usually about 36 hours before the weather actually changes. I’ve lived in WI, CA, AZ, and WA. I felt the best in CA with almost no changes (but we couldn’t afford to live there long term), the worst in WI with dramatic changes. The heat in AZ made me swell like crazy and so we are settled in the Seattle area with temperate weather year round. Weather changes can cause horrific pain, or just extreme fatigue, or severe stiffness. It just depends on how I’m doing normally and how dramatic the change is. Even flying does a number on me, despite the pressurized cabin my body somehow senses the pressure change. Thank you, Ms M. Once again, i’m not alone. I always tell my doc, good i’m not crazy. She laughs and says, I didn’t say you aren’t crazy, I said these things are happening to you. Lol. Thanks again, Ms M.
The feverishness. I feel like I suddenly have a high fever, my skin feels like it’s radiating great amounts of heat, I sweat. It’s like a slow-motion hot flash. Taking my temperature shows about one degree higher than normal. It’s incapacitating. It coincides with a worsening of my RA but when I told my rheumatologist about it, he acted like he’d never heard of this symptom! When my RA settles down, it goes away.. I get the fevers, too, quite often,but without sweat. In fact I rarely sweat at all:( My face turns bright red & blotchy, esp. my nose. At home I can turn the heat down/up/down/down some more LOL. Husband puts on a sweater… But @ work it’s always too hot and it’s hard to think straight unless I resort to ice packs, etc. My rheumy is pretty open-minded though, and I have very little pain at this point, so I’m doing OK. Gentle hugs and a very Happy New Year to all of you readers and bloggers!! Martha, your description on the fevers, heat radiating from your body, pouring sweat, and minimal change in body temperature is exactly what has been happening to me for many years, sometimes I look like I went swimming. My heart rate was also high too, 130-150,just sitting. After many Drs. I finally found a great cardiologist and after all testing, stress test, ekg….. Heart normal, she gave me metoprolol a beta blocker, thinking this was from anxiety, it has worked wonders for me. I used to have “heat attacks” as soon as I opened my eyes in am, on and off thru the day, during a stressful event or just watching tv. It still happens but has been drastically reduced by meds. I had no idea this was related to RAD. 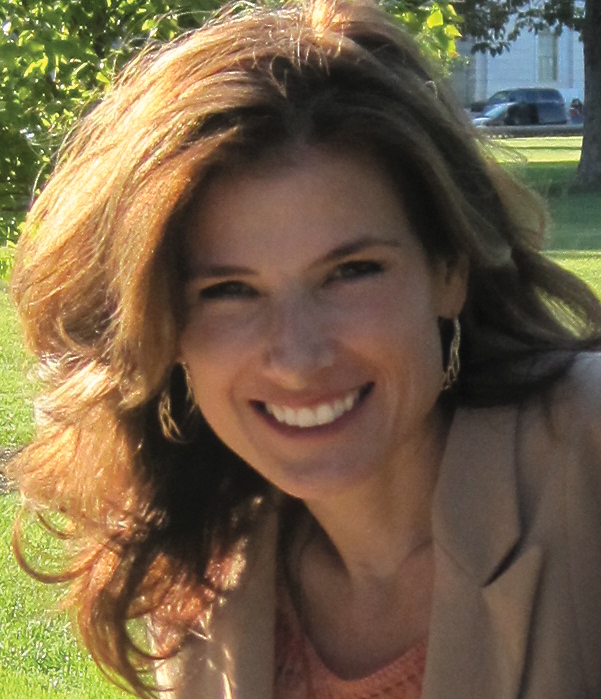 Kelly thank you so much for this website, I no longer feel crazy or totally alone in this fight. Thank you all for letting me know that I’m not alone and I’m not crazy! It really helps. Paula, I think the anxiety connection is part of my problem, too. I have lost an eye and I have a very rare, very strange consequence from it. When I turn off the light and lay down to sleep at night, I start to burn (with the same minimal change in body temperature). Well, closing my eyes causes anxiety! I’ll be asking about metoprolol, I’ve never heard of it until now. Kelly, I can never thank you enough for all that you do for us! Stop consuming sugar, all avarian birds, including chicken. Stop consuming lamb/sheep.hope this helps.kindest regards. In 23 years of battling RD, I’ve discovered there is a thing I call “baseline pain”. That’s the constant pain I barely notice because it’s been around so long. It’s the RD version of feeling normal. Flare-ups make the baseline pain seem fantastic by comparison. RD really can screw with your head. I really wish there was a way to help ease my mum’s pains. She’s constantly in pains and sleeps for a few hours and is awake all night. Her joints all hurt very badly and inflammated. She is in sooo much pain and I wish I could share in her pain. Been 22years now and the pains have never ceased ? If there is something you know that can help my mummy, please help me out ….I live my life crying because I can’t do anything to help her . I’m trying to be strong but today for instance, I burst out in tears as I helped her smear the ointment all over her body . Pls give me answers if you have any ?? Its realy helpful for me to see people fighting with RA so bravely.I get strength too. Im 23y old and suffring from RA from 9months..my experiences thought me not to waste energy on people for telling them what you are feeling and what you are going through.no one can feel your pain .onlu people suffeing from RA xan feel it…try to make your self mobilised .active.with a soft exercises.it helps alot.I get relief from my pain when I swim for 30 min.swiming is much better then any exercise ..
We will be fighting with RA .and we will succeed surely .I know and I believ in my self.I will do anything I want I will never let my disease take over me . Be nice to yourself. I make my inner dialogue as positive and encouraging as I can!! I even laugh at my own jokes ? I started taking hemp oil (CBD), within a few days I felt so much better. I suffered with the pain and inflammation in my hands, knees, and ankles 24/7. Number six on the list is what I struggle with. My mother had RD I saw it first hand growing up. She developed before any treatment was available. She had severe deformities. I always compare myself to her. My RD is completely different. Mine is in my back and hips and I have no deformities. My family also compare me to her and I don’t think they take my disease all that seriously. I think they view me as weak because I’m not handling all of this as well as she did. I try to remind myself my situation is different, I also have diabetes and am raising a child with severe autism. But I still tend to think of myself as not that sick. Good! If your rheumy won’t listen, find another one! Agree. My Drs always ask me to rate my pain. How do you rate pain that is always there???? There is pain and then there is PAIN. when you have PAIN from a flair. it’s time to call the doctor, even on the weekend, to get some prednisone on board to help with the PAIN from a flair. You have to stop feeling guilty about not being able to participate in events. Even if they have been planned for months. RA doesn’t read or honor calendars. Do the best you can!